Alongside the heavy duty T7.290 and T7. 315 and the standard wheel base T7.225 the entire New Holland T7, T8 and T9 ranges are now fully Tier 4B compliant. The new machines were unveiled at New Holland’s ‘Heavy Metal’ launch and Agritechnica. C&O Tractors will be getting a demo T7.225 Blue Power in 2016, contact your local C&O sales team to book a demonstration. New Holland has launched two new flagship heavy duty tractors. 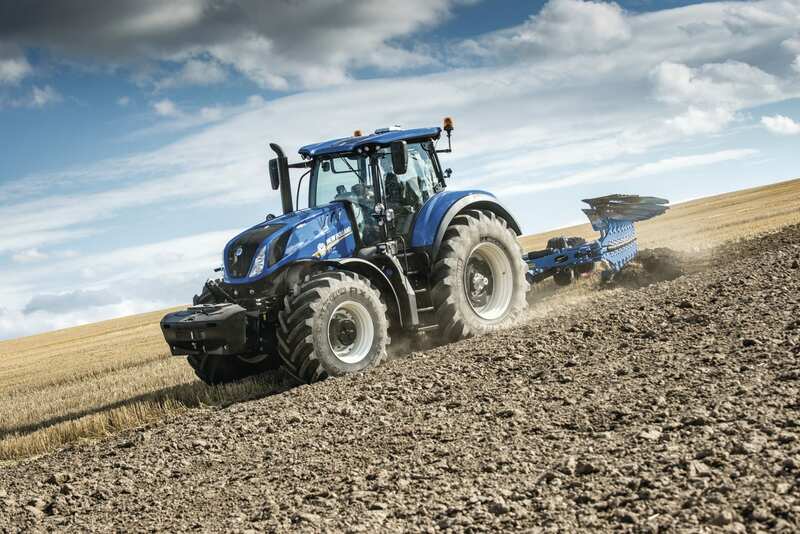 The T7.290 and T7.315 were launched to the world at Agritechnica, where the T7.315 was awarded the prestigious Tractor of the Year 2016 award, and launched to UK dealers and customers at a recent event at New Holland’s UK tractor plant in Basildon. The machines are built to respond to the need for increased power, versatility to perform a wide range of field jobs, including primary and secondary cultivations, drilling, baling and mowing as well as haulage tasks. The Horizon cab provides a quiet and supremely comfortable operating environment, along with precision technology that enables growers to optimize efficiency and performance, while staying connected with their entire farming operation. These new models also feature New Holland’s revolutionary IntelliCruise tractor-baler automation that allows the New Holland BigBaler to control the tractor’s speed according to changes in the windrow to maximise productivity and bale consistency. High power, responsiveness and efficiency A fundamental design input of the T7.290 and T7.315 was to improve vehicle efficiency to new levels. The engine features New Holland’s ECOBlue Hi-eSCR (High-Efficiency Selective Catalytic Reduction) technology to meet Tier 4B emissions standards. These new T7 series models also feature New Holland’s award-winning Auto Command continuously variable transmission (CVT) with four direct drive points with 100% mechanical efficiency. For PTO work these new T7s lead the field. A four speed rear PTO and a two speed front PTO allow the engine to be operated as efficiently as possible. The two new T7 models can mount larger group 48 and 49 tyres (2050mm and 2170mm diameters) with a rear tyre width up to 900mm. This results in excellent traction and, most importantly, minimal soil compaction. The T7.290 and T7.315 automation features, such as the latest generation Headland Turn Sequencing, IntelliSteer auto guidance and PLM Connect telematics, put the driver in full control of the tractor. The new models also feature New Holland’s IntelliCruise’ ISOBUS Class 3 tractor-baler automation technology that enables the baler to control the tractor’s speed to optimise feed rate and produce constant flake thickness.